Park Yoo-chun and Lee Joon are idols who have become actors and they don't mind doing the extreme like getting undressed instead of choosing to star in typical idol movies. JYJ Park Yoo-chun started filming the movie "Haemoo" recently. MBLAQ Lee Joon is coming out with "Rough Play" on the 24th. They are both thrillers and action movies. Compared to other idols who have starred in romantic comedies, these two definitely stand out. "Haemoo" produced by Bong Joon-ho stars Park Yoo-chun, Kim Yun-seok and Moon Sung-keun. With violence and desire spreading throughout the movie, Park says everything with a Jeolla dialect. He is also going to perform a bed-scene with a girl he shares love with. Lee Joon's attempt is also another one that stands out. He takes on the role of a top star and attempted at 4 different bed scenes with different actresses. He even exposed his upper body. Lee Joon debuted as an actor in 2009 with "Ninja Assassin" as the young Rain and was offered many roles after that but he was sincere about choosing his work. 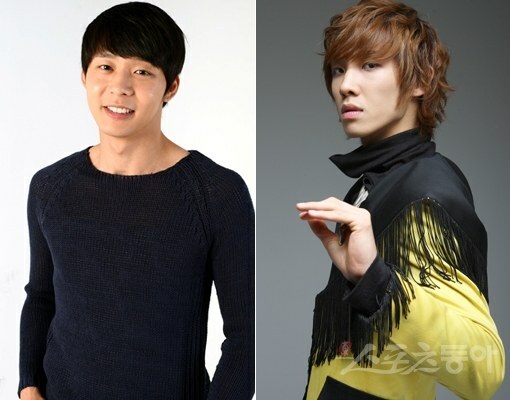 Park Yoo-chun and Lee Joon's challenge can be seen as determination that they will walk the right path to become real actors. "Park Yoo-chun and Lee Joon's movies highly expected"
Son Yeo-eun joins "She Gets Married Thrice"